Who is the ideal reader of Let’s Talk Money? What was your motivation to write this book? I believe that the middle class Indian who is looking for a way to build financial security is the reader of this book. All of us who live in urban India and live the urban mass affluent life are readers of this book. It is for those who know that they need better financial control but don’t know how to go about it. It is for those who are confused with the products, the push and choices out there in the financial markets. It is for those who are afraid of the financial sharks and toxic financial products and take the safe route to real assets. It is for those who are willing to spend the time in learning the basics of managing money. It is for those who want a hands-free system of money management rather than a one shot gamble at getting rich quick. Why did I write this book? At every TV show I have done, every radio spot, public lecture or a chance meeting on the airport with a follower of my work, the message came to me – is there a book that has all that you keep saying in one place? As I look around the book space, there are excellent books on investing or financial planning, but there is nothing that relates money to our everyday lives with all its complexities and then gives a system for hands-free money management. I believe that money issues are deeply linked to who we are. A sorted money life sometimes leads to a sorted overall life. At least that is my experience. I want to share this with others like me who are not aspiring to get rich tomorrow but are happy to build financial security one step at a time. I want people to have better control over their money. I want people to stop getting cheated by financial con artists. I want people to get their money to work as hard for them as they work to earn it. 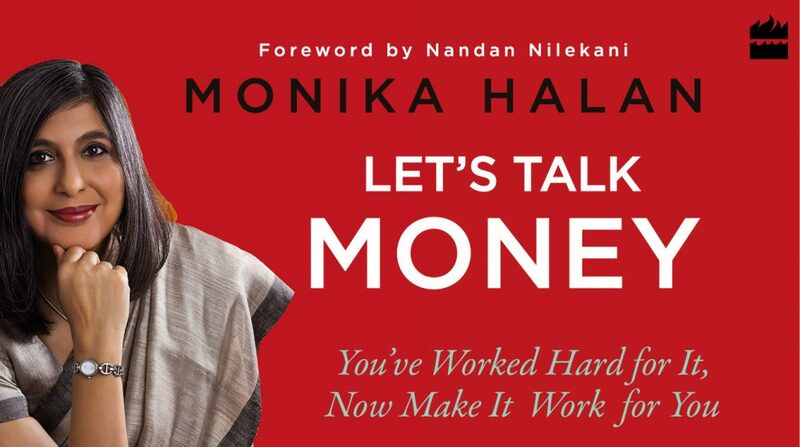 This entry was posted in Letstalkmoney, Personal Finance and tagged Letstalkmoney, monika's money box, Personal Finance by monikahalan. Bookmark the permalink.